Professor Geoffrey Leech, founding professor of our department, and an influential scholar who has shaped several fields of linguistics, died suddenly, 19 August. 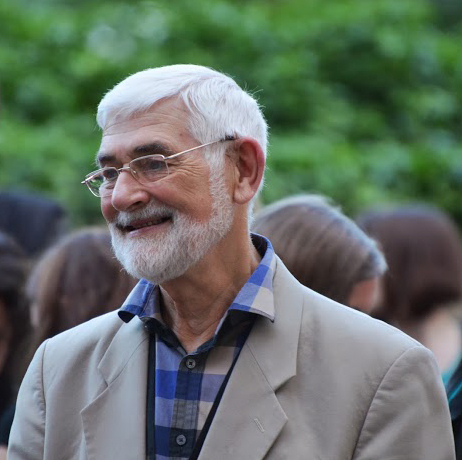 The Department of Linguistics and English Language held a memorial event for Professor Geoffrey Leech on 22 November 2014. View the photographs from the memorial event. Geoff Leech was born in Gloucester in 1936. He studied at University College London for his BA, MA, and PhD, and taught there as a lecturer. He came to Lancaster in 1969 as one of the first language specialists in the English Department, and in 1974 he became the first Head of the new Linguistics Department, and its first Professor. He played a crucial role in almost all the developments in the department as it grew to be one of the major centres of linguistics. In 1996 he took early retirement, but he continued as a Research Professor, and he has remained active in research, departmental duties such as PhD supervision and examining, talks to students, and contacts with the many visitors who came from around the world to see him. He was a Fellow of the British Academy, was awarded honorary doctorates from Lund and Charles University, and had many other honours. Geoff made major contributions to such fields as stylistics, (A Linguistic Guide to English Poetry  and, with Mick Short, Style in Fiction ), and semantics and pragmatics (Principles of Pragmatics  remains a key text in the field, and his new book, The Pragmatics of Politeness, appeared just last week). He also contributed to the two major descriptive grammars of English, and many shorter, more accessible grammars for students and teachers. He is perhaps best known now as one of the founders of the field of corpus linguistics, the construction and study of large computerized datasets of language. This field has now become one of the major approaches to many linguistic and social science issues. Colleagues, students, and collaborators remember Geoff as enormously encouraging and supportive; he helped launch many careers. He was remarkable in his modesty (a topic he considered in his studies of pragmatics), especially for someone so widely renowned in his field. But he also had the self-confidence to pursue huge, long-term projects until the rest of the field could see their value. And he could be fiercely angry if he thought an injustice was being done. Beyond the academic world, Geoff and his wife Fanny have had a broad circle of friends in Kirkby Lonsdale, since moving there thirty years ago. Geoff was a gifted pianist and organist, and was particularly active in the music-making in local churches. For departmental colleagues, the intellectual loss is incalculable. But we will also miss that so familiar sight of his striding down our corridors, with a warm smile to greet everyone, from established professors to new students. Our thoughts are with Fanny, Tom, Camilla, and the rest of Geoff’s family, and with his many friends, as they deal with their loss.